I remember watching Clint Eastwood’s Flags of Our Fathers shortly after it was in the cinemas and feeling less than enthusiastic about it. I’d been watching my way through the best infantry combat movies at the time, so, obviously, Flags of Our Fathers fell short. After re-watching it yesterday I must say, it’s not bad at all. Quite the contrary. Sure, it has some corny Hollywood moments, but overall it’s a very interesting movie about topics that are still relevant today: the power of images and the making of heroes. Flags of our Fathers tells the story of the iconic picture that rekindled the American war effort. Looking at the photo below I would say it’s extremely powerful. I’m not surprised it had such an effect. The movie starts with two elderly men reminiscing and telling their story to the son of one of them. The son knows his father took part in the battle of Iwo Jima and that he’s on the famous picture but he doesn’t know much more. His father never spoke about the war. 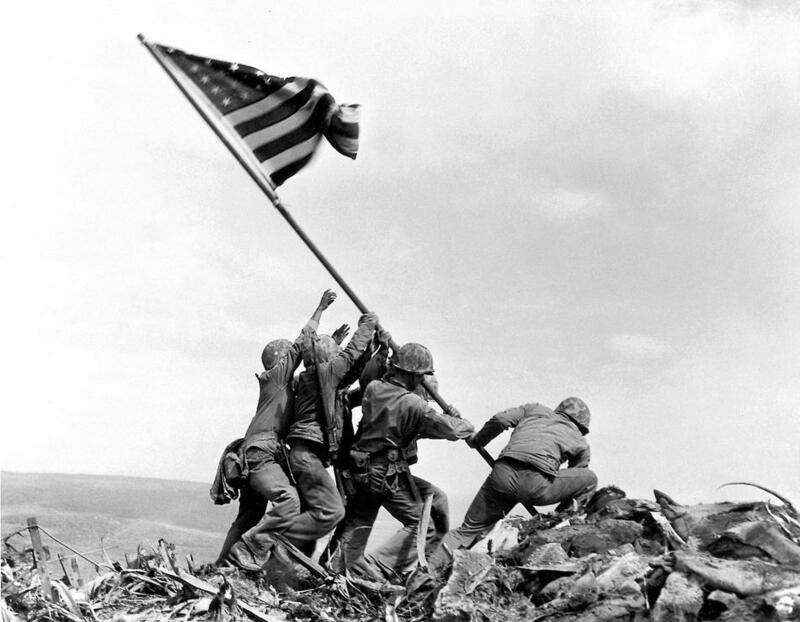 From this initial moment the movie is composed mostly of flash back sections, some of which showing what happened on Iwo Jima, some telling about what came after the picture was shot. Iwo Jima – or Sulfur Island – was a strategic point. Taking the hill meant that the US might after all have a chance to win the war. When the troops land, the island looks bleak, dark, forlorn and empty. It’s quite a creepy moment, which is enhanced through a change in point of view. We first see the troops land and slowly walk towards the hill, scanning the landscape and then we get the point of view of the hidden Japanese who observe the troops from their fox holes. Needless to say that this first wave of US soldiers is quickly heavily decimated. Still, many make it to the top and that’s when they plant the flag. A senior officer later demands this flag and the commanding officer decides to exchange it and to let him have another one. Both flag raisings are photographed but it’s the second, which is the better picture, that makes it into the newspapers. Three of the men who raise the flag survive. However, inadvertently, one of the first six is named as the sixth of the second group, which will cause a lot of heartbreak. The three survivors are sent back to the States where they are touring the country and trying to convince people to help the war effort and buy bonds. The three men who haven’t done anything more heroic than holding a heavy pole, feel uncomfortable about being called heroes. One of them, an American Indian, is especially uncomfortable. He feels like a cheat. Not only because he doesn’t feel heroic but because they were not even part of the initial flag raising. It feels like he’s deceiving people. The mix up of the sixth soldier makes it even worse. The movie is sleek and visually compelling. The combat scenes on the island are shot in gritty almost black and white pictures, which form a contrast to the colorful home front scenes. The actors, notably Adam Beach and Ryan Philippe, are very good. The score is discreet and well-chosen. It stays mostly in the background. 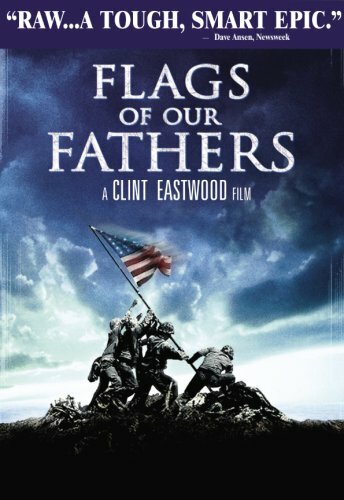 I thought Flags of Our Fathers was really watchable. More than that actually. It’s very good. 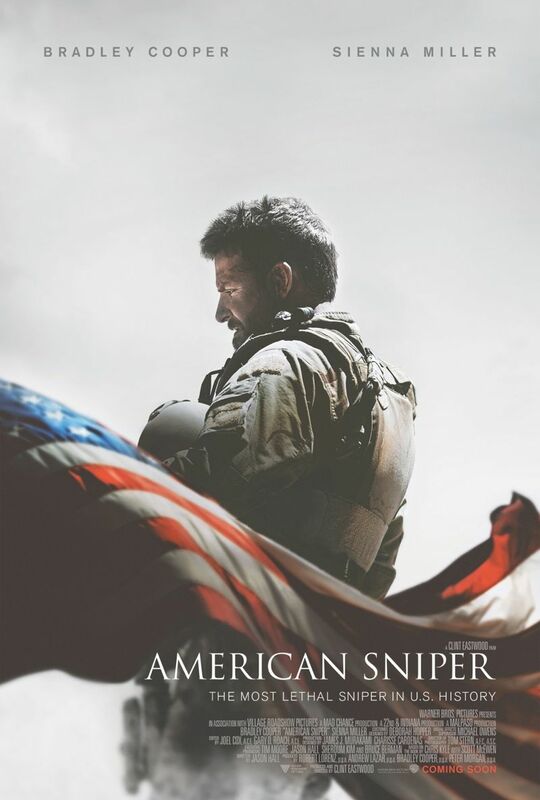 It shouldn’t be seen as a combat movie but more as a movie about the impact of pictures, an exploration of the true nature of heroism and the way society treats heroes when they aren’t needed anymore. It was sobering to see their treatment. At no point were they seen as soldiers and men but merely as a possibility for propaganda. This became even clearer after the war when people lost all interest in them. Shameful and painful. Shameful to admit I watched this crap and painful to have watched it. I wasn’t even sure whether I should review it on account of the shame factor. I mean, seriously, there is a bit of a reputation at stake, right? But then I thought, I might save someone the time or direct those who would like this movie towards it. I’m sure there are people out there who did or would appreciate this. Anyone who is planning on having an affair with their ex-husband/wife might learn a few things. The beginning of Heartbreak Ridge isn’t all that bad. I can really sympathize with people who have a problem with their superiors, especially when those superiors do not seem to have reached their position through knowledge and capability but purely by chance or through the right connections. Gunnery Sgt Tom Highway (Clint Eastwood) is a hardened veteran of two wars. He has done more than one tour in Vietnam and is most certainly not the guy to be posted in an office or someone who should be doing some menial task. Since his divorce, and most probably also before, he is a bit too keen on drinking and this, plus a tendency to insubordination, gets him frequently into trouble. Being a highly decorated soldier and really liked by his friends he is given another chance. Just before his retirement he is sent back to his old unit in Cherry Point, North Carolina. He had been transferred from there, once more, because of insubordination. At present he is appointed trainer of a reconnaissance platoon with a very bad reputation of being true slackers. Up to this point the movie is ok but then it tumbles down rapidly. Some new characters are introduced which are meant to be funny but are not. The platoon consists of a bunch of cheeky boys reminiscent of some high school comedy. There is a lot of growling and muscle action from the Gunnery Sgt and a lot of cheerless fun from the boys. Plus the ex-wife is introduced and to make matters worse we are served a corny version of the “How to date your ex” romance (it’s so unsexy). If you think by now, this must be bad, you will be surprised to hear that it got worse. The platoon who, of course, has become one of the most worthy in a short time, is sent to the island of Grenada to liberate some American hostages. Those poor school girls have been captured by Cuban soldiers. Those mean men have a habit of losing their Havanas and that’s how the Gunnery Sgt found out who the enemy is (it’s quite subtle). What was so far a movie about military life + a parody of boot camps turns into a real war movie but of a tacky variety.